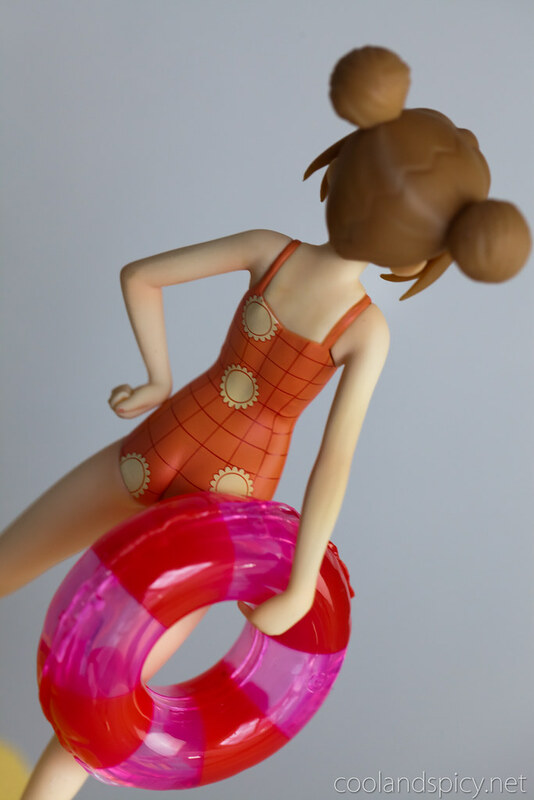 In February I reviewed the Lucky Star Beach Queens figures and found them to be a good buy. When I saw that Wave was also doing Toradora figures in the Beach Queens series, I promptly placed my pre-orders and I now have all three girls from the popular romance comedy series. Long wavy Tiger- er, I mean Taiga hair. Another optional hair style. These figures feature swappable parts to change the appearance but also have neck joints which allow you to adjust each figure’s head orientation. It’s a minor addition but it’s nice to be able to have your figure look in the direction you want not just the direction the sculptor thought was best. It doesn’t seem to reduce quality and the joint seam is only noticeable if you really look for it so I wonder why more figure companies don’t try this o_O. Uh-oh, she caught us eying her. Back to tsun tsun mode ^^; Run away! Next up is Kawashima Ami. She’s a model in the series and her figure version fulfills the role well, I suppose ^^; Ami is wearing a rather small white bikini with purple ribbon accessories. Quite a daring outfit but hey, that’s how Ami is. Ami has the fewest optional accessories as she only comes with this replacement ponytail. There was a special version of her which I believe included another face but was also more expensive since it wasn’t released to retail shops and thus I skipped it. But I like the ponytail so it’s alright with me. Our last girl is Kushieda Minori. Minori is a member of the softball team and has goals to go professional so her pose has a excited, energetic feel to it just like her personality. She wears a red and white stripped tank top (tankini?) and shorts. 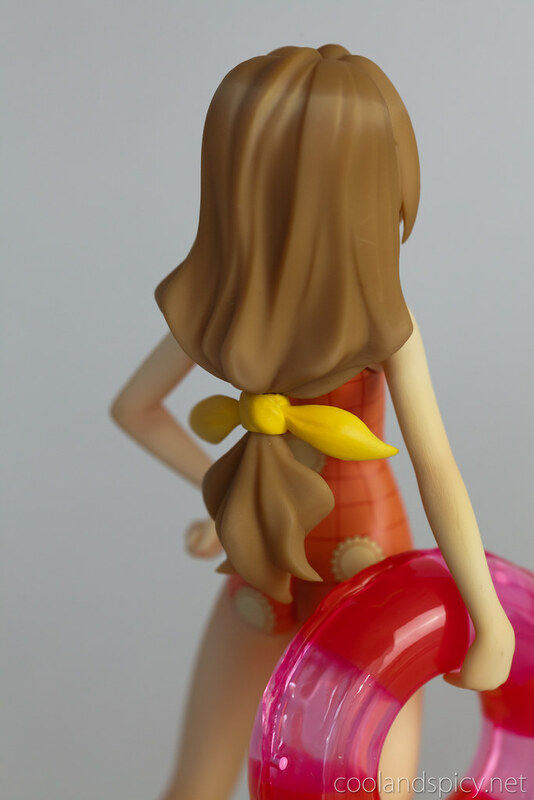 Minori sports a replacement short ponytail and her shorts are also removable as she wears a white bikini bottom underneath. Cute ^^. While the quality of these figures certainly can’t compete with that of Alter, GSC, or Max Factory, keep in mind these figures are priced significantly lower than most PVC figures at about just 3,200 yen each. 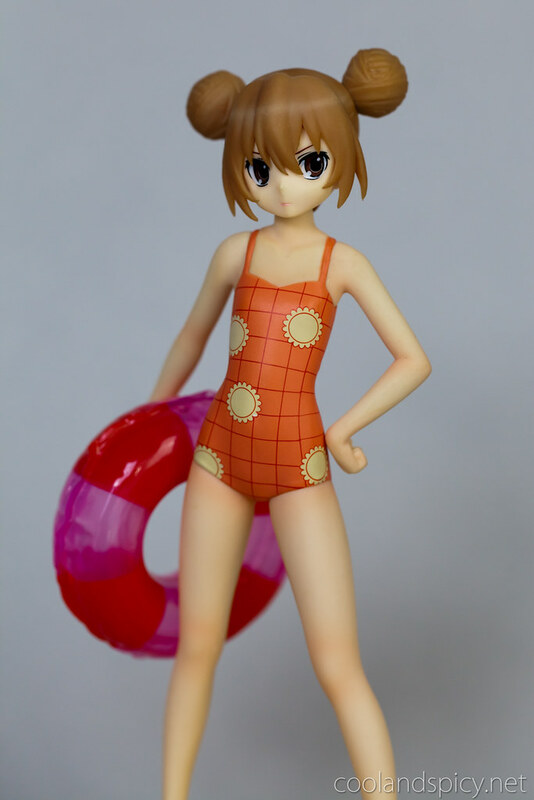 So if you’re looking for the highest quality paint-job with the least noticeable seams, you might want to look elsewhere ^^; But if you’re looking for a good value and some cute figures, the Beach Queens figures are definitely worth a look. Wave continues to please with their Beach Queens series. 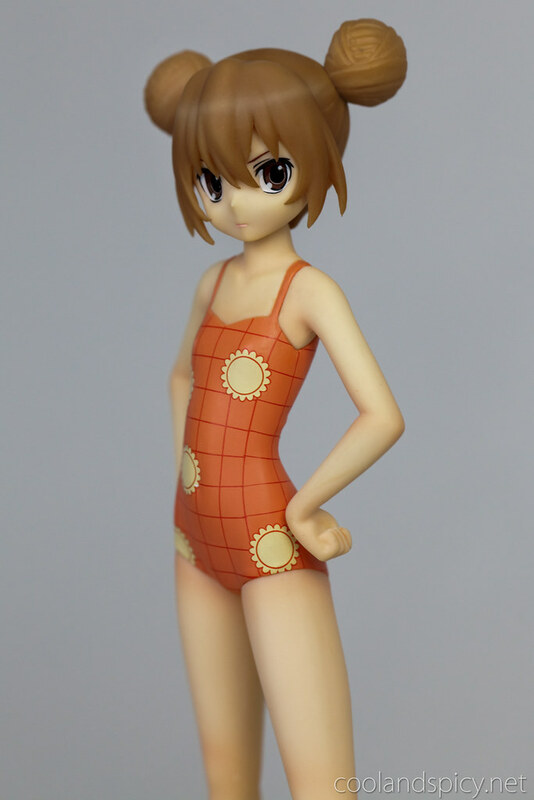 I mean, who really doesn’t like to see cute girls in swimsuits? Sure, they may not be the highest quality figure in your collection, but at 1/2 to 1/3 the price of a normal PVC figure, they’re certainly more affordable. Of the three Toradora girls, I feel that Taiga was the best buy even though I got the more pricey Dengeki special version. She has the most appealing facial expression and pose to me but I’m glad I did get the whole set as they do look great displayed together. 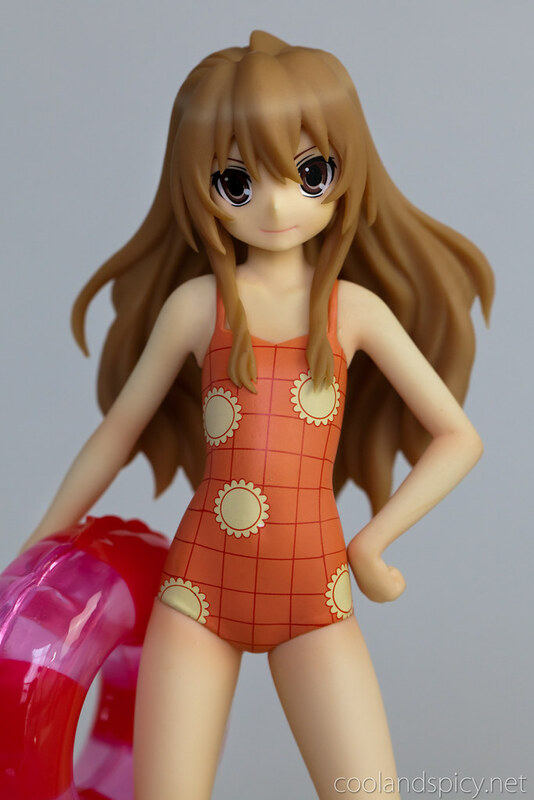 If you’re a Toradora fan, I would recommend these figures. Unfortunately, they are sold out at the major shops but could always pop up again in the future ^^. P.S. When are the Toradora light novels coming to the US? I want them! Yep, they all have neck joints in fact. Same with the Lucky Star figures. I think it’s a standard feature on the Beach Queens figures. 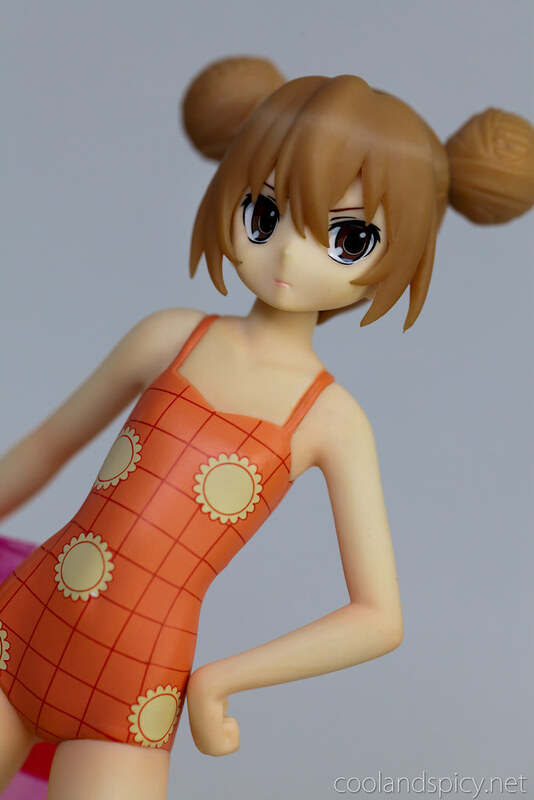 Taiga’s tsun tsun face is super adorable! Cute figs. Taiga is definitely my favorite. Fighe le tette di Ami!